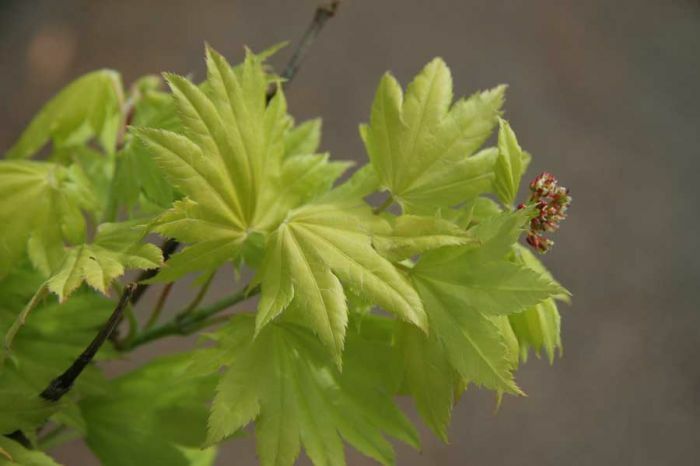 This dwarf version of the green Norway maple is usually grafted on a standard which makes a ball on a stick effect reaching 3 metres tall by 2 metres wide, turning a light yellow in autumn. 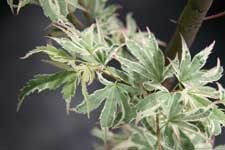 This snake bark maple has bright pink new foliage with a white powdery variegation also the young branches have a vibrant pink bark. This tree has a pendulous habit, reaching 4 meteres tall by 3 metres wide in 15 years. With brilliant orange autumn tones. 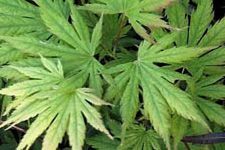 Leaves are suboricular, 11-13 lobed. Pale yellow in spring, darkening to a yellow green in summer. In autumn the leaves turn gold on the inside and red on the margins. 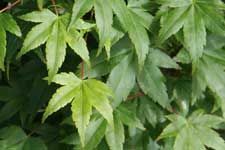 This delicate dwarf variegated maple unfolds with soft foliage that has blends of pink, cream and light green. Growing to only 2.5 metres tall by 1 metre wide. In autumn it turns a striking gold. 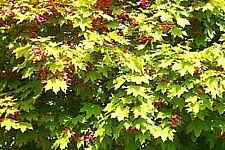 A dwarf green maple with soft green new growth, its dense growth habit suits well for bonsai, autumn colours are orange and red.  2 metres by 1 metre wide. 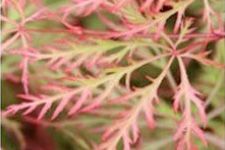 This excellent dwarf cultivar is perfect for a small garden, rockery, patio or bonsai. 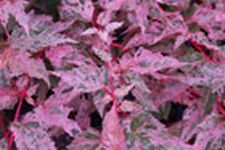 With bright pink and yellow spring growth then settling in to a dark green during summer, autumn tones vary from gold orange to red 1 metre tall by 1 metre wide. 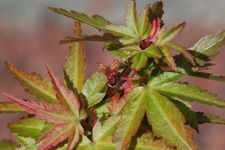 This is a vigorous growing weeper that has a fine dissected leaf which starts with bright pink spring growth turning copper green in summer then turning tones of scarlet red and burgundy.